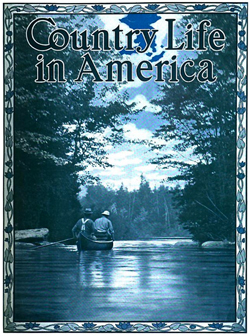 "Camping at the City&apos;s Doors" was the title of an article in the June, 1905, issue of Country Life in America magazine, which described places where "one can feel as far away from civilization as upon an Adirondack lake, but a twenty minutes&apos; row or paddle takes one across the river to catch a train, mail a letter, receive or send telegrams." One of the places featured was Croton Point, "on the New York side of the river about thirty miles from the city." What’s particularly interesting about this article is the description of the "network of creeks" in the marsh which was tragically filled in by the Westchester County dump. The map detail below gives a good idea what the marsh was like. 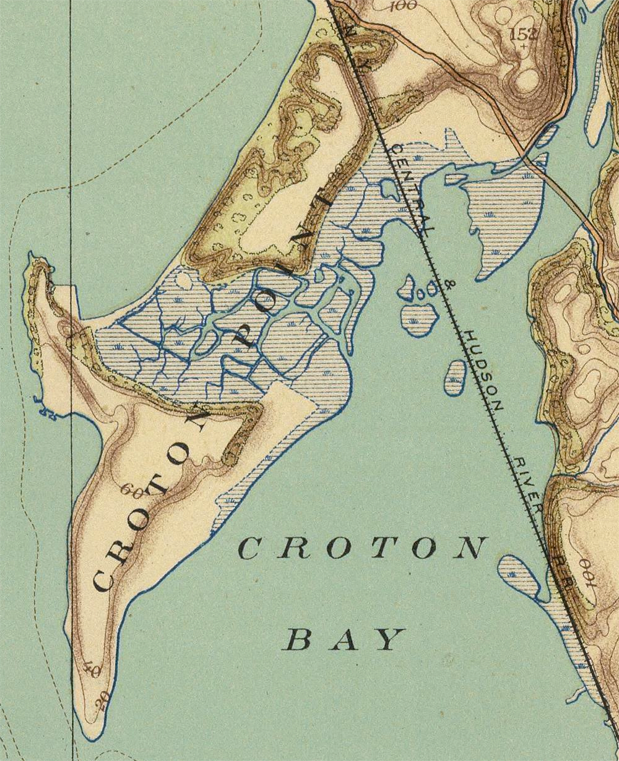 "Croton Point [is] separated by a wide and shallow bay from Croton Landing, a station on the New York Central Railroad. This Horseshoe Beach of fine sand is an ideal bathing spot. The river itself and Croton Bay make ideal sailing waters. The breezes coming across Haverstraw Bay are steady, for the Hudson River. There is fairly good fishing off the northwest end of the Point. Table supplies may be had from Croton Landing, and the camper who desires to run to town every other day can be paddled or rowed across in half an hour to catch his train. A liveryman will call for him morning and evening when the weather is unpleasant. Camping is restricted to the shores of Croton Bay, but well-behaved visitors may roam over the Point at will. A network of creeks enters the southern side and one of these cuts the Point almost in two. At half tide, by portaging a couple of hundred feet, one can pass through the Point down to the mouth of the Croton River without going outside into the Hudson." This detail is from a topographic map published in 18911, but it is probably the most accurate depiction of the water courses in the marsh area as it was in 1905 when this article was written.